The hansgrohe concealed range offers the perfect product for your needs and budget. This Ecostat Square Thermostat 2 Function Concealed Finish Set operates two outlets and features a thermostat cartridge with an adjustable temperature limit. Ecostat thermostats are available in a square or round design, or with rounded corners. 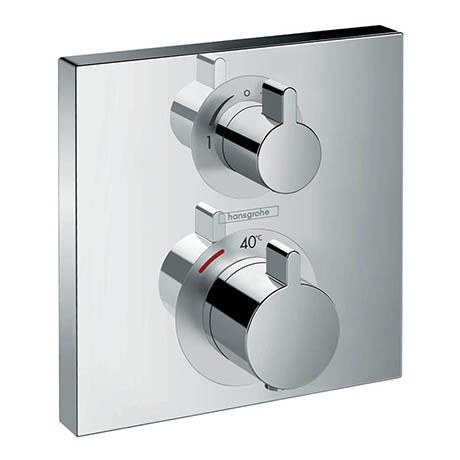 There is a wide choice of attractive fittings, all blending harmoniously with the bathroom.